Today, a group of leaders in the tech sector is joining the State Department on a trip to Russia to discuss how communications technologies and social media can be used to strengthen and broaden the ties between the United States and Russia. The State Department has recruited some big names to join the trip, including actor and social media lover Ashton Kutcher, eBay CEO John Donahoe, Twitter co-founder and Square founder Jack Dorsey, and Cisco CTO Padmasree Warrior. We hear one of Kutcher’s responsibilities will be to Tweet about the trip. Topics which will be explored include how to foster entrepreneurship and how to use the Web to combat child trafficking and corruption, and use it to improve training, distance learning for remote populations, e-government initiatives, and cultural exchanges. The delegation is led by Jared Cohen, a State Department policy staffer, Howard Solomon of the National Security Council and White House Chief Technology Officer Aneesh Chopra. The full list of tech leaders on the trip include John Donahoe, Jack Dorsey, Padmasree Warrior, Shervin Pishevar, executive chairman and founder of Social Gaming Network; Jason Liebman, CEO and cofounder of Howcast; Esther Dyson, prolific investor and leader; Mitchell Baker, Chair of the Mozilla Foundation; and Ellis Rubinstein, president and CEO of New York Academy of Sciences. Kutcher, along with his actress wife, Demi Moore, are the founders of the Demi and Ashton Foundation, which works on anti-trafficking issues. Kutcher also founded production company Katalyst and has been active in promoting and furthering social media initiatives. 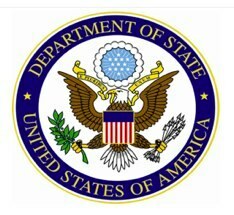 The delegation is tentatively scheduled to meet with the Russian Ministers of Communications, Health and Education; with advisors to President Medvedev; with leaders of Russian technology and telecommunications companies; with cultural and educational leaders; and with civil society organizations concerned with health, child welfare anti-trafficking, and anti-corruption efforts.